Thank you for visiting our site. Naylor's Custom Wind Repair [NCWR] has, as its primary mission, the repair, restoration and maintenance of clarinets, oboes, English horns, bassoons, saxophones and flutes. Formerly of Englewood, Colorado, NCWR is now located in Centennial, Colorado and serves the Rocky Mountain region and the western United States from it's southwest Denver location. 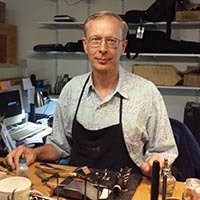 Stocking and using only premium repair materials, Master NAPBIRT Clinician & Proprietor, Larry Naylor, together with Clarinet & Saxophone Journeyman, Tait Solberg, effect repair techniques state-of-the-art and beyond to optimize musical instrument performance. 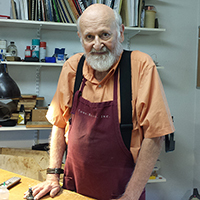 With repair standards routinely exceeding manufacturer specifications, Larry and Tait optimize science and art in single and double reed instrument repair and customization. The exceptional quality of repair and restoration of woodwind instruments often leads to NCWR receiving instruments from throughout the United States, Europe and Asia for customized repair and restoration. Again, thank you for visiting the NCWR website. We hope to be of service to you in the near future. Do you know your instrument's "bad" notes? Are they getting worse? Playing softly?... especially in the low registers a problem? Is your instrument breaking down more often? Do you have intonation problems or has the intonation changed since you received the instrument? If you answered YES to one or more questions, it is probably time to take your instrument in for periodic maintenance and/or repair. Your woodwind is a mechanical device and, like all devices, it does require periodic care by a qualified technician. Notwithstanding emergency problems, we highly recommend taking your instrument to a qualified repairman ANNUALLY -- we strongly encourage, a NAPBIRT technician [n.b. NAPBIRT = National Association of Professional Band Instrument Repair Technicians; see link at bottom right in RESOURCES]. Also, while you're here at our website, we invite you to read some of the article, Deterioration of Grenadilla Instruments? Specifically Part 1 of that article? Please click on PUBLICATIONS and then on the article in question. Part 1 deals with one of the most extreme problems you may confront.